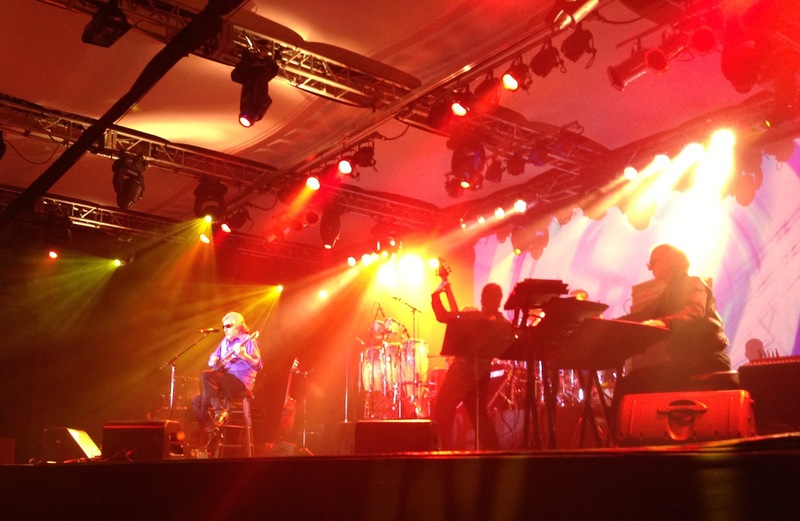 Patty's Utopia: Meeting A Great Artist... Meeting Jose Feliciano. On Thursday, December 20th, one of the greatest Latino artists came to the Seattle area and I was there, sitting down on the front row, ready to see him and meet him! He started his concert with the theme song of "Chico and the Man," a TV show from the 70's. He then switched, by his audience's request, to some romantic ballads in Spanish. He gave a big shout to all the Latinos in the Ballroom, which I was very proud to see that there were many, and we all responded with a very loud: Yay! He obviously couldn't leave out great songs like "Billy Jean," "Oye Como Va," "Knocking on Heaven's Door," "Que será" and others. With the latter, because of the lyrics and because it's a beautiful sad song, I broke in tears. His unique and well-known sense of humor was also a very important part of the night. He made jokes about anything and everyone. It was hilarious! But, enough of the chit chat, let me show some of the pictures that I could take while he was on the stage. If you look closely, on the first two pictures Jose Feliciano was playing some classic rock songs and that's why he is holding an electric guitar, and on the last picture he switched back to his acoustic guitar to keep playing more "boleros." 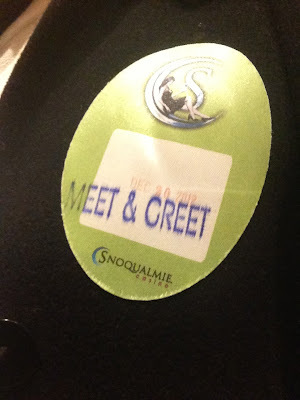 After the concert was over, thanks to Lori from the blog talk radio "Real Sisters Talk," we had the opportunity to meet and talk for a little while with Jose Feliciano. I was super excited! The moment I entered the dressing room, we all started talking in Spanish! We talked about his visits to Mexico, and I kept repeating over and over again how much I admire him. I just couldn't help myself! When we said good bye, he mentioned to me "I love Mexicans" to which my response was: "And we love you!" I swear, I will never forget this night! 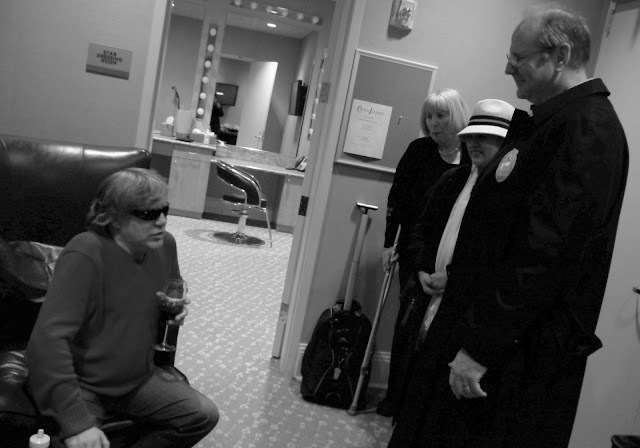 In this picture: Linda and Mark Gordon from My Seattle Night Out, myself and the great Jose Feliciano.